Drews Legal offers excellent recruitment consultancy in the legal sector with comprehensive and ongoing services for clients and candidates alike. Our clients are national and international corporate law firms of any size and companies across all sectors. We advise lawyers and in-house counsel of all levels of seniority throughout Germany in an individual and professional manner, with a special focus on partners and executive positions. We relieve you, the client and employer, of the laborious process of recruitment, providing you with profiles of pre-selected, qualified candidates. We discuss your specific requirements with you in advance in an in-depth personal consultation. We draw on our extensive pool of candidates, our competent needs-based market research and our excellent network to find the perfect candidate for you. You, the candidate, can trust us to take care of your career planning. Our aim is to understand your motivation, your objectives, your values and your individual wishes for your professional development. Together we find the best way forward for you. We advise you throughout the entire process, offering you extensive interview preparation and ongoing coaching in accordance with your wishes. Whether you are a big corporate law firm, a medium-sized company or a specialized boutique, we will find you a lawyer who perfectly meets your needs. Whether recent graduates, experienced lawyers or senior partners, all our candidates prioritize client interests. Alongside the professional know-how you need, our candidates bring an enthusiasm for new challenges and a fresh approach to your company. Areas of legal action within a company are diverse, from company management to the legal department. The more senior the position to be filled, the greater the entrepreneurial responsibility expected. First-class lawyers with good business understanding will move your company forward. We will find you lawyers with real entrepreneurial drive. A large pool of candidates: our current portfolio comprises some 6,000 candidates nationwide. Recommendations: thanks to our excellent network, we have a wide range of contacts within companies and law firms who can put us in touch with suitable candidates. Direct approach: after extensive market screenings (also in consultation with you as our customer) we begin the process of contacting potential candidates. From lawyer to lawyer: as consultants, we come from a legal business environment and have ourselves worked as lawyers for several years, enabling us to fully empathize with our candidates. The perfect profile: we draft detailed search profiles which cover the human element as well as all professional aspects. Fast and effective: we start the search as soon as an order has been placed, and generally deliver profiles of suitable clients within one or two weeks. Face-to-face: we meet all our candidates in person before we introduce them to you. This enables us to share our first-hand impressions with you, and to evaluate whether a candidate is really the right fit. Absolute discretion: we only mention you by name as our client if the candidate is committed to changing jobs and interested in your anonymously-described position. Dr. Elisabeth Drews studied law at the University of Osnabrück. After the first state examination, she undertook a one-year LL.M programme in tax law in parallel to her corporate law doctorate. She then successfully completed a second LL.M course at the University of Cape Town. She undertook her legal traineeship in Kiel. After the second state examination, Dr. Drews began her professional career as a lawyer at Clifford Chance, Düsseldorf. She worked there for several years in tax law and in the area of corporate law and mergers and acquisitions. Throughout her time as a lawyer at Clifford Chance she was involved in the recruitment and support of junior lawyers. On the basis of her growing interest in the recruitment process, in 2008 Dr. Drews decided to change to a career as a recruitment consultant in the legal sector. Following a successful banking apprenticeship, Melanie Bartsch studied law at the University of Kiel. She undertook her traineeship in Kiel and in Cape Town. After the second state examination, Melanie Bartsch initially worked for two years in the legal department of the Schleswig-Holstein Chamber of Architects and Engineers in Kiel. This was followed by several years working as a lawyer in the property law boutique firm of Jebens Mensching in Hamburg. Melanie Bartsch provided legal advice principally in the areas of property transaction, asset management and public building law. 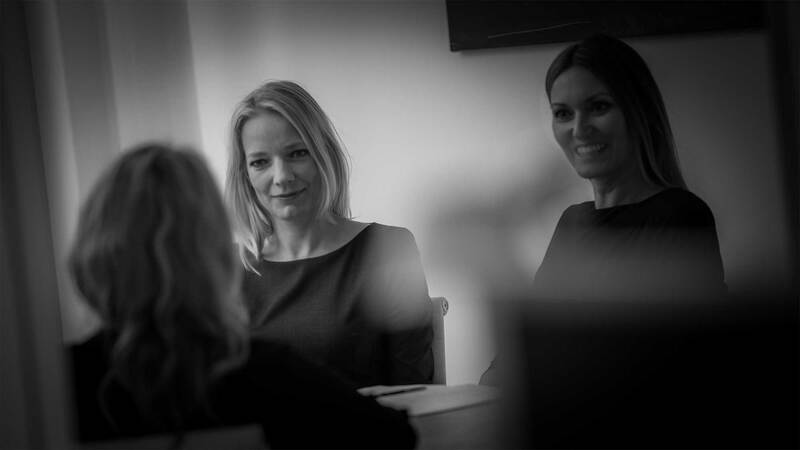 Since the beginning of 2011 Melanie Bartsch has been working for Drews Legal as a recruitment consultant.